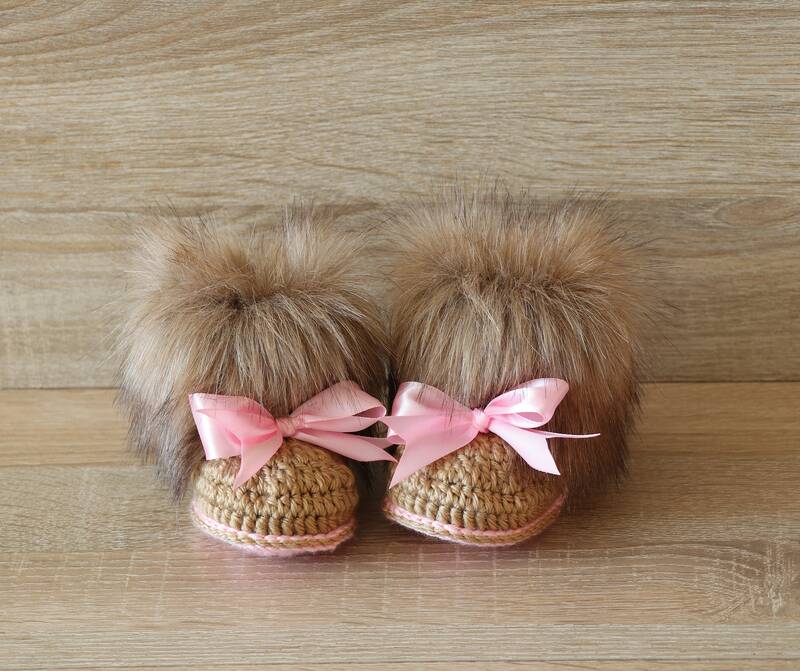 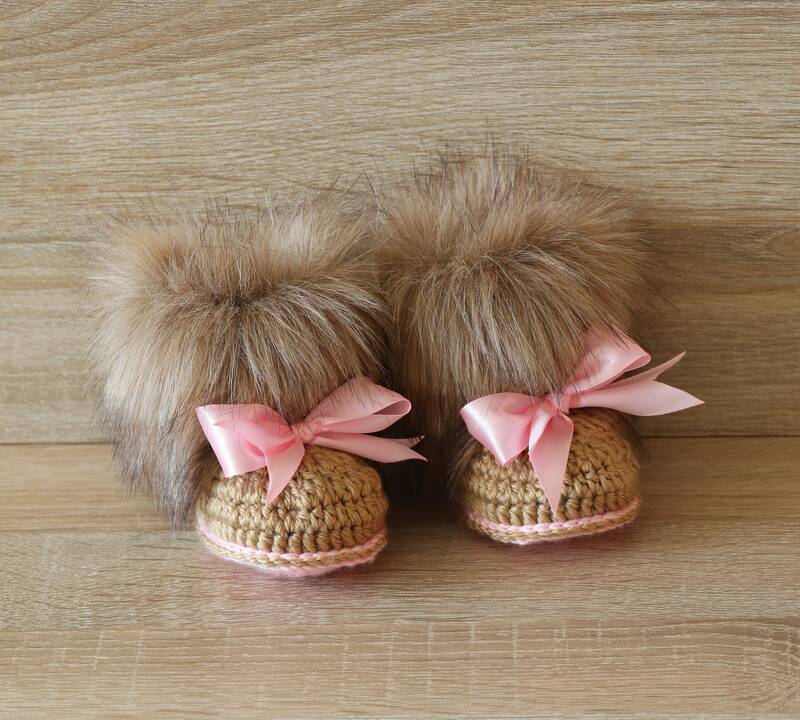 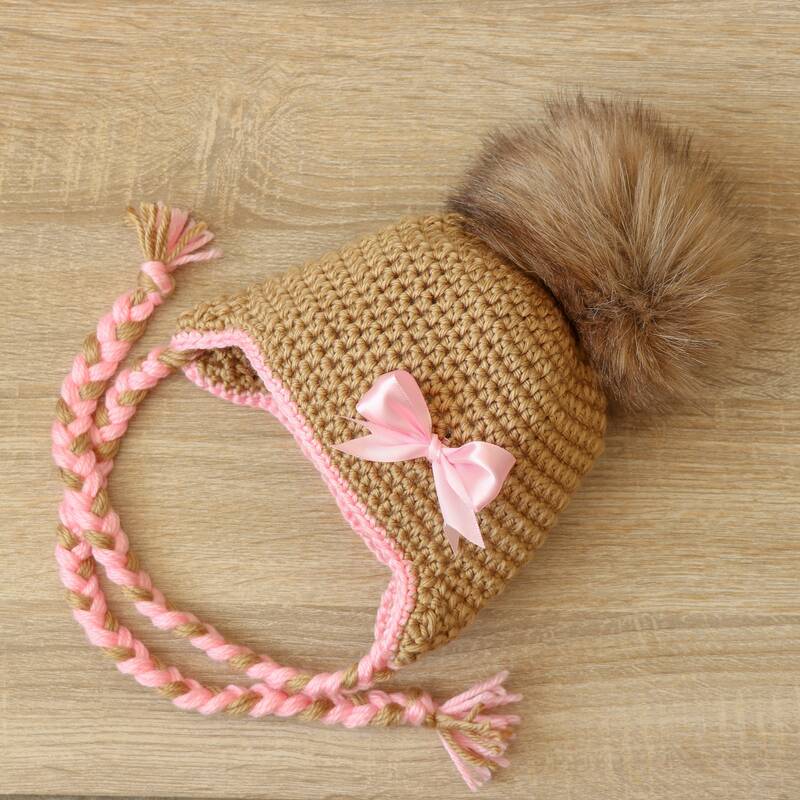 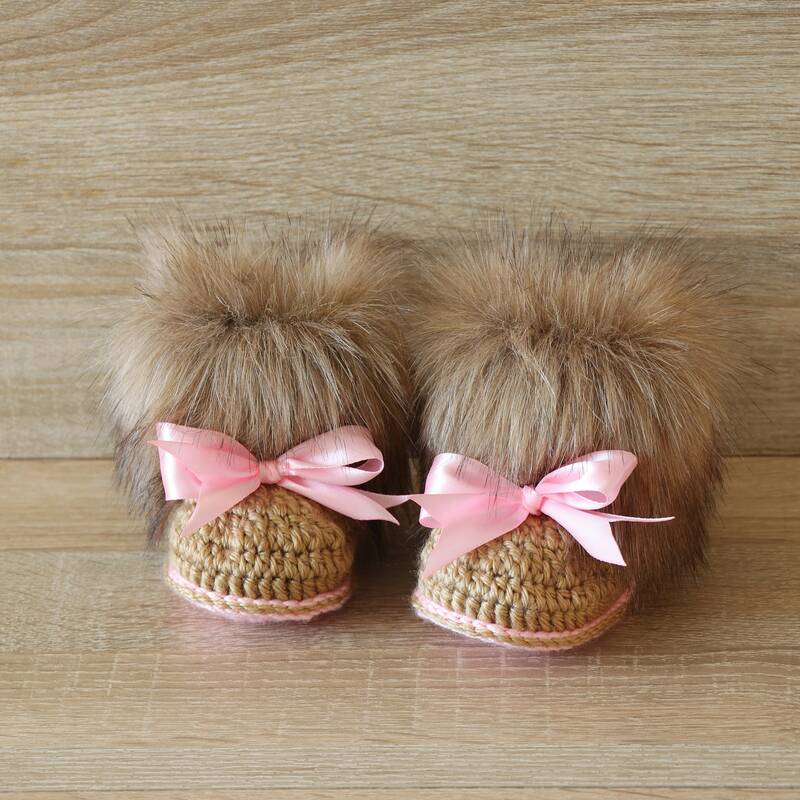 These golden brown and pink booties and hat are made with a soft acrylic yarn. 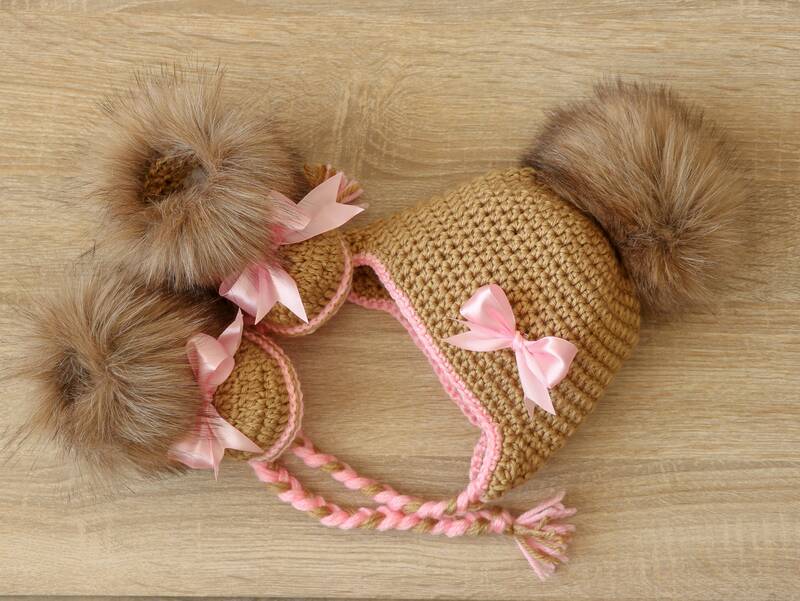 Customer orders are always welcome! 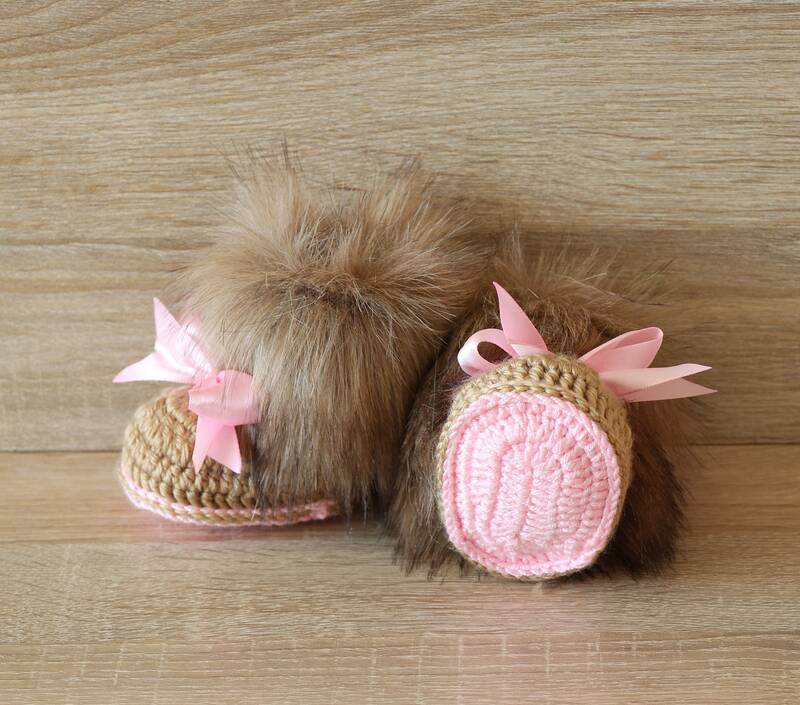 If you would like these booties and hat in a different colour than this listing with white fur, feel free to send me a message and I would be happy to create a custom order for you.